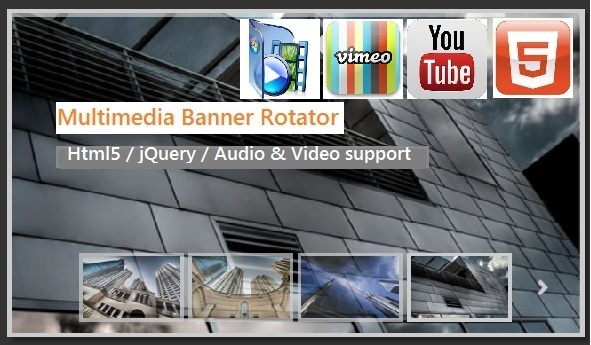 Professional multimedia gallery / banner rotator with custom transitions. It includes support for audio and video and html captions. 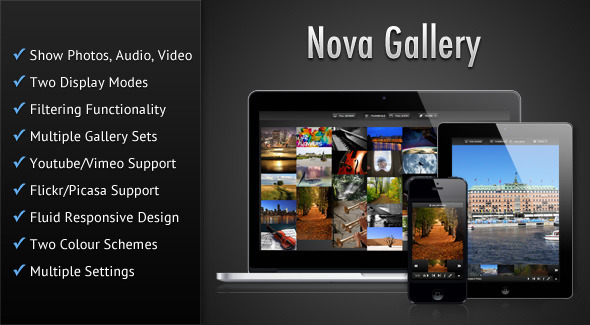 It can be used as a gallery, banner rotator, slideshow.